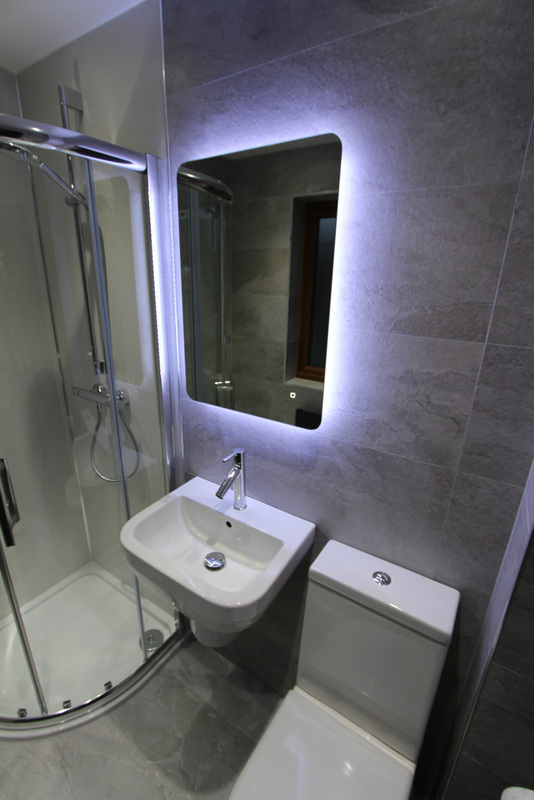 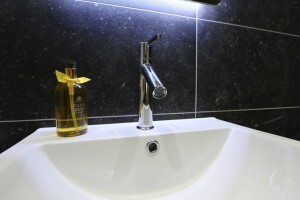 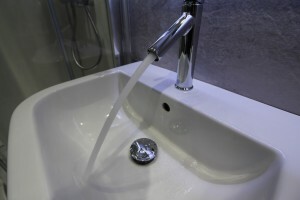 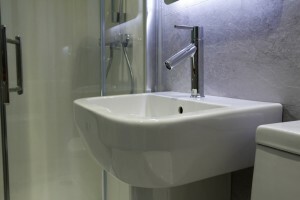 This recently built apartment was in need of a little TLC and the current owners asked us to design, supply and fit two luxury bathrooms as part of a renovation project. 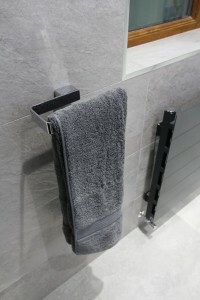 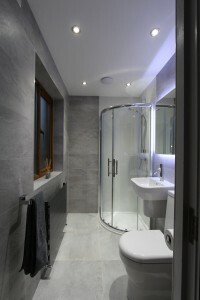 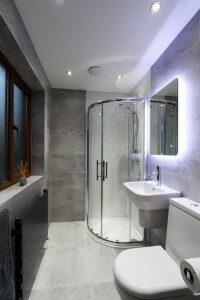 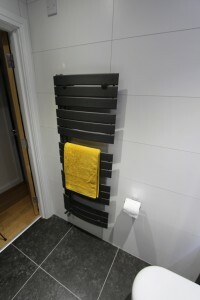 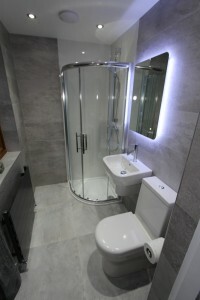 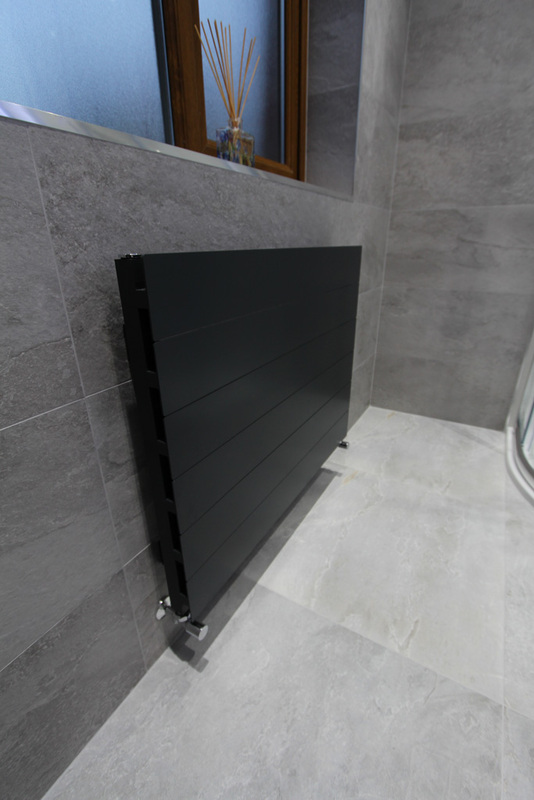 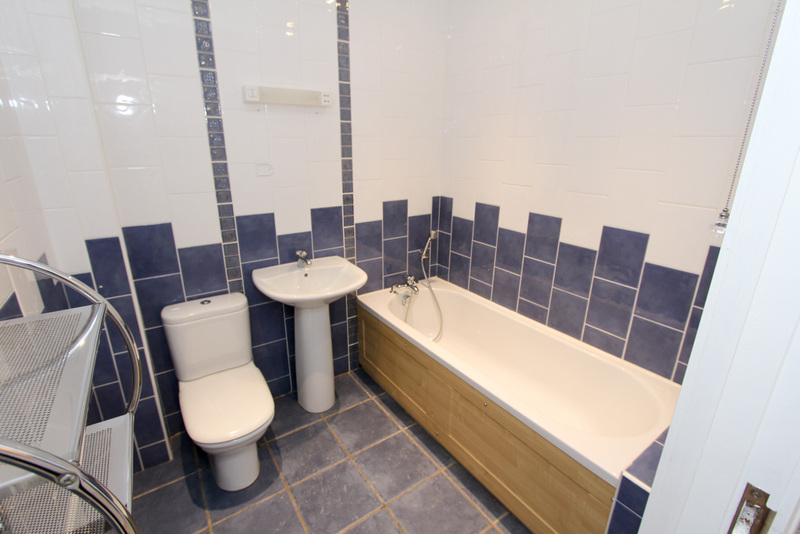 The en suite features a cool aluminium radiator, waterproof Mermaid panelling in the shower, Hansgrohe brassware and a natural stone effect tile. 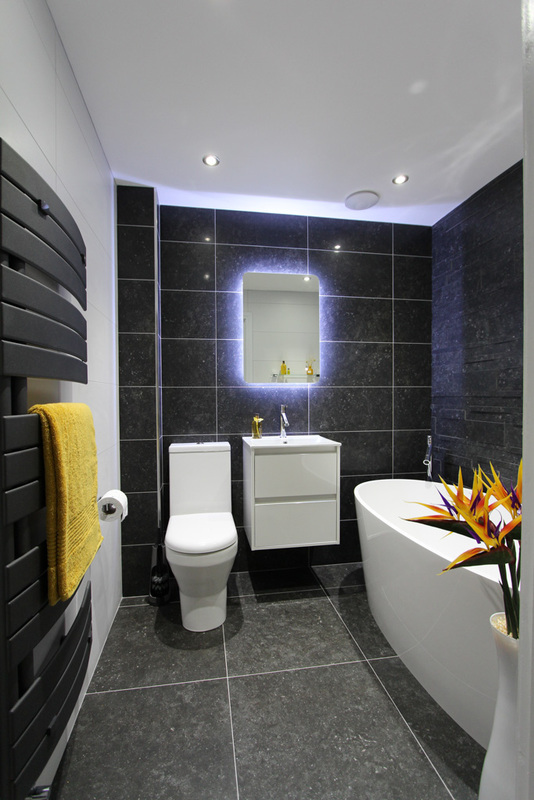 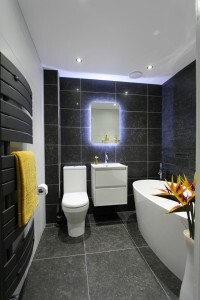 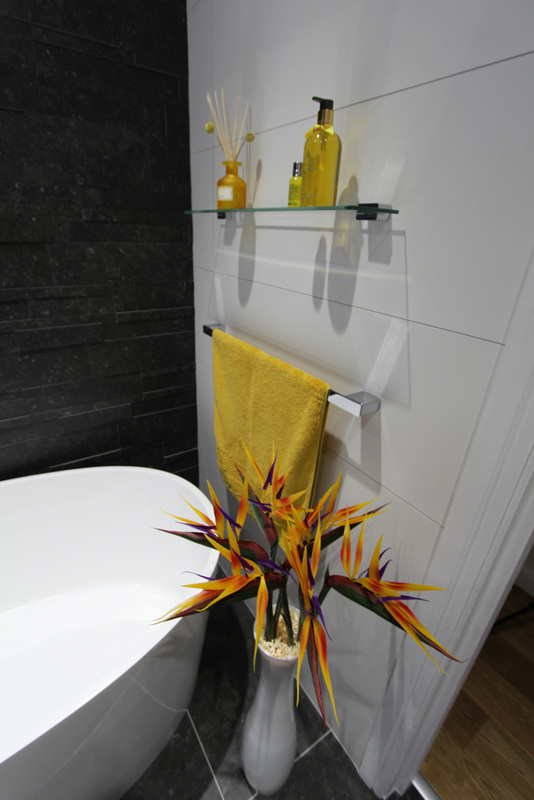 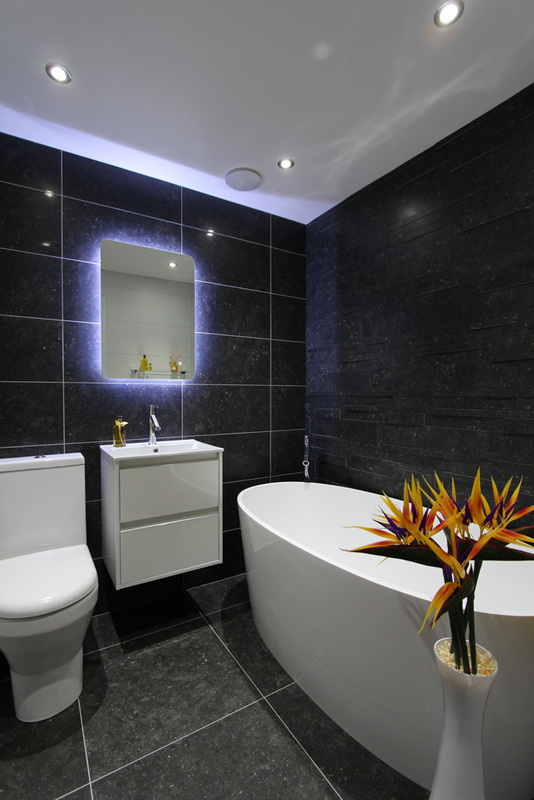 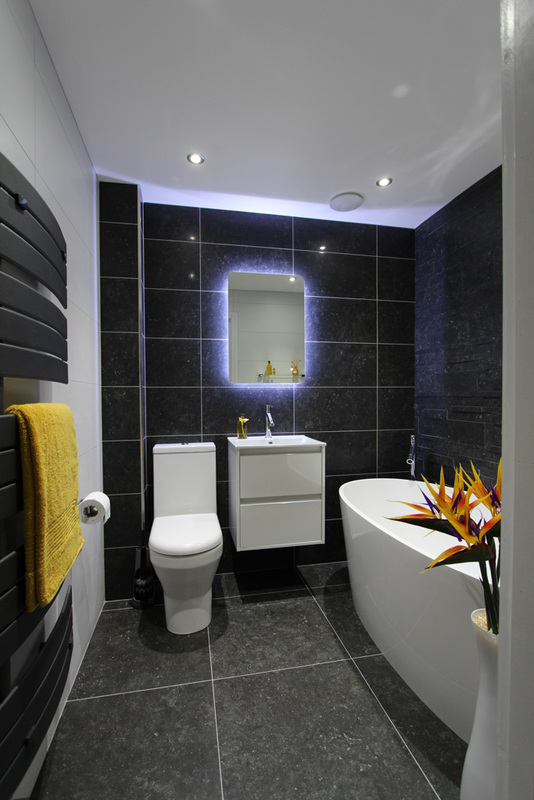 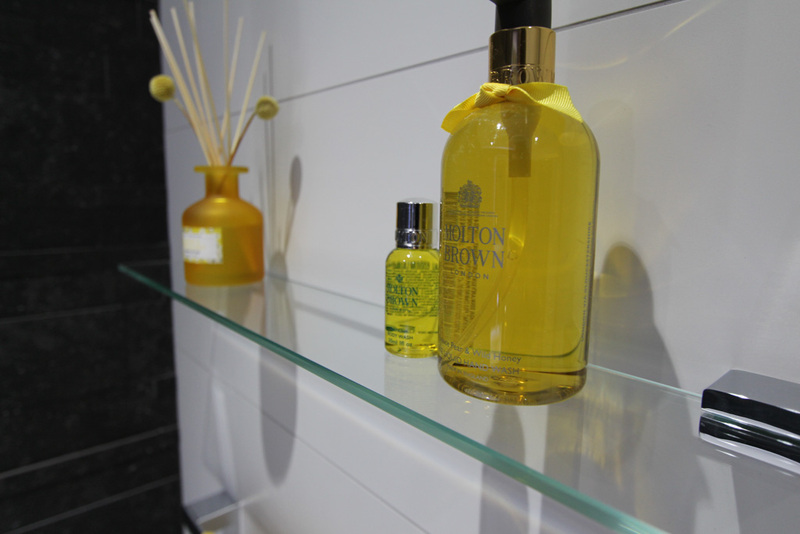 The main bathroom focal point is a stunning Victoria and Albert ios bath set in front of a structured 3D wall tile. If you have a project you would like to discuss with us, please get in touch on 02890770044 to speak to Michael or Brian.